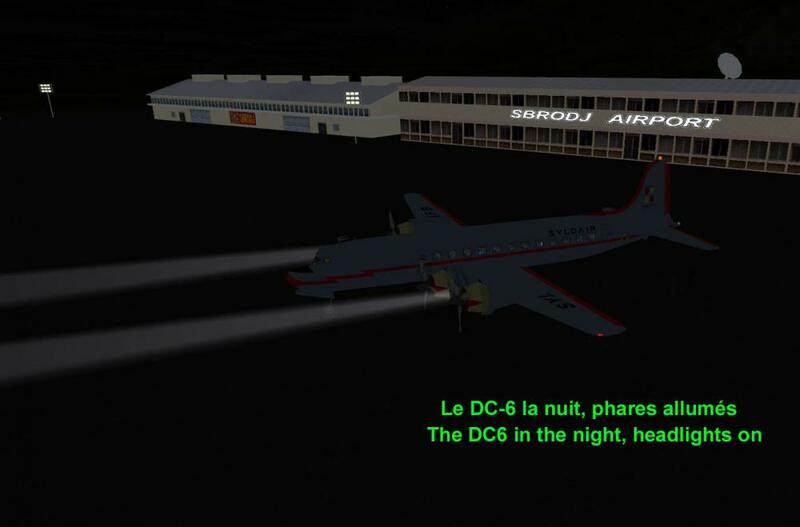 Here the plane that takes Tintin, Snowy and the Captain Haddock to travel to Sprodj where the Professor Calculus is working to accomplish the first human flight to the Moon, before the American and Soviet one. 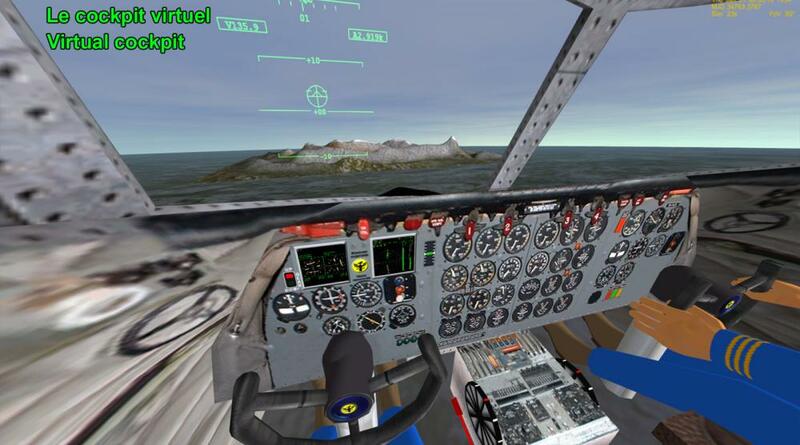 This aircraft is very fun and very easy to fly (no joystick needing ). It has many new animations due to the new Vinka's Spacecraft4 module . A huge thank you to Vinka for his work !!! 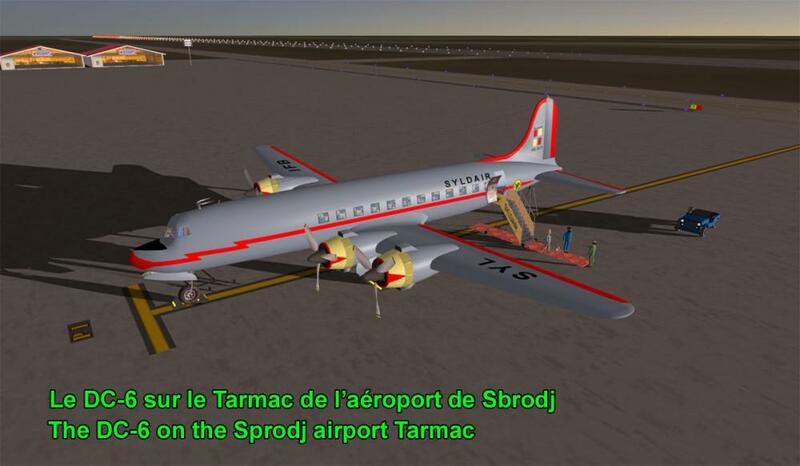 In addition to this aircraft, an additional airport is included : Prague 1953. Also included "Template" files to realize custom "skins" if you wish. 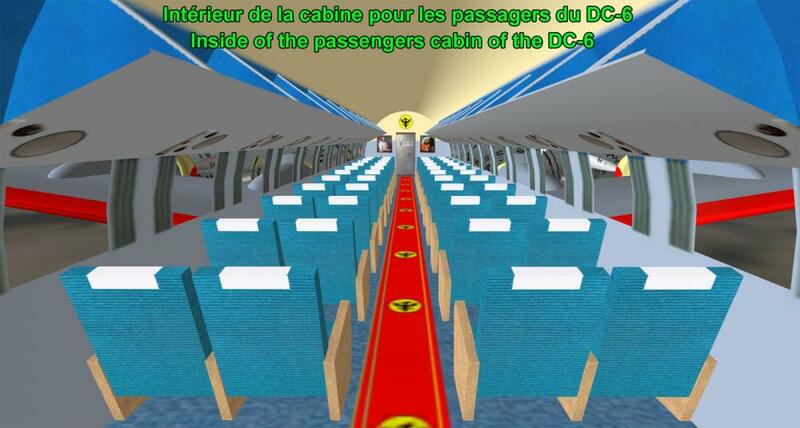 This addon requires no additional addon for all scenarios located in the [DC-6 aircraft] folder. 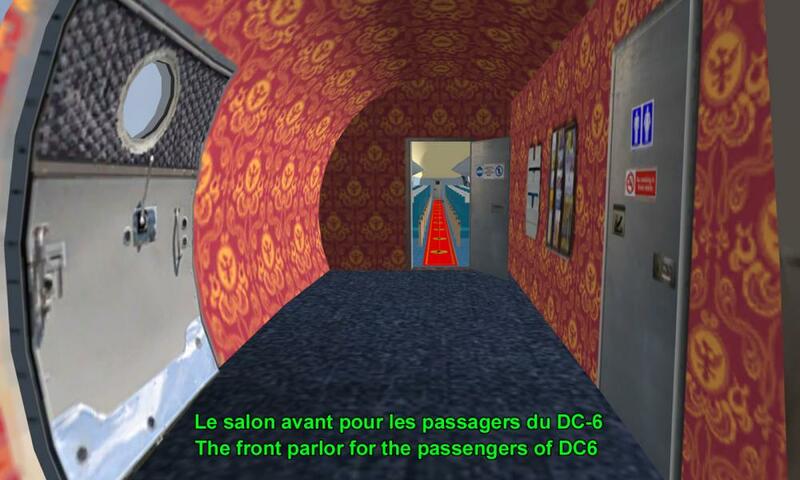 But some scenarios (in the [ Tintin on the Moon ] folder) require the installation of some additional addons in order to have all the scenery and all the characters. 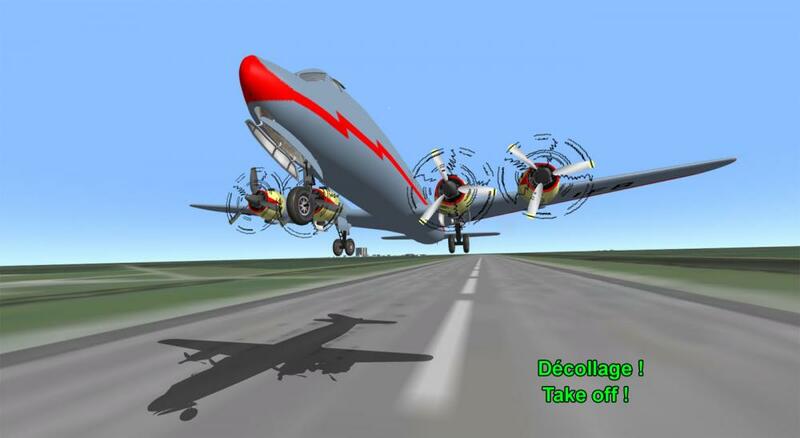 A list of these addons to install if you like, as well as all necessary explanations for the aircraft, can be found in the documentation located in the [Doc \\ Tintin] folder. A patch (# 2) for the addon "Tintin sur la Lune" is also provided. ( in [Doc \\ Tintin] folder ). Have a good flight !! !